Community Survey No. 2 Now Available! Do you have a comment or question regarding Downtown on the Rio? In December 2016, city staff began the process of searching for a consultant that would help the community realize their vision for the downtown. Fourteen design consultants expressed interest in the project. Ultimately four were asked to interview. MIG, Inc. of Denver, Colorado was selected as the firm with the proven capability to reach out to the citizens of Alamosa and transform their vision into the plans and programs necessary to transform the downtown. Please also make sure your voice is heard by including your input on the Downtown on the Rio Plan by attending the open houses and participating in the on-line surveys. Why are we preparing a Downtown Design Plan? The Downtown on the Rio Design Plan will provide a framework for the redevelopment of Downtown Alamosa with a necessary emphasis on how the spaces throughout downtown can be woven together to create vibrant new public destinations, new spaces for public art, great streets, festival sites and opportunities for developing exciting new businesses, shops and restaurants. The Design Plan will build upon Alamosa’s previous planning studies, and reference successful projects from comparable small towns and tourist destination across Colorado and the intermountain west. The Design Plan will also respond to the community’s desire for enhanced pedestrian and bicycle connections, transit and parking. Most importantly, the plans for revitalization of the downtown will be uniquely Alamosa reflecting our cultural heritage, connection to the Rio Grande, railroad history and our unique location as a gateway community to the Great Sand Dunes National Park. MIG, Inc. is a multidisciplinary, participatory planning and design firm that offers a full range of services, including site planning, streetscape design, conceptual design and transit-oriented development planning, general and specific plan preparation, policy planning and development and zoning. Our work is characterized by a dedication to quality, a flexible approach, creativity in planning and design, and a commitment to completing projects on time and within budget. We have worked extensively with public agencies and municipalities locally and nationally on design and planning for future change. Economic and Planning Systems, Inc. (EPS) is a land economics consulting firm experienced in the full spectrum of services related to real estate development, the financing of public infrastructure and government services, land use and conservation planning, and government organization. 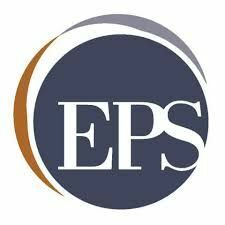 EPS was founded on the principle that real estate development and land use-related public policy should be built on realistic assessment of market forces and economic trends, feasible implementation measures, and recognition of public policy objectives, including provisions for required public facilities and services. to ensure that our design plans and strategies are economically viable and strategically aligned to catalyze short-term implementation and realization of a long-term vision. Fox Tuttle Hernandez Transportation Group (FTH) is a transportation planning and engineering firm that is data driven and focused on safety. FTH is best known for their balanced approach to short and long-range transportation investments with a keen focus on broader community goals. FTH knows that alternatives need to support cultural diversity, have unique identity, and support placemaking for generations to come. FTH's planners and engineers have been implementing multimodal transportation designs with CDOT Region for over two decades. They have successfully worked with a wide range of communities in Colorado to re-envision their aging corridors and prepare them for the modern economy. The FTH team has a reputation for moving communities from vision to implementation by using fun and effective stakeholder involvement.